After Mobile World Congress (traditionally in February), the next big trade show is CeBIT in March which in the past used to generate quite a few new product announcements. 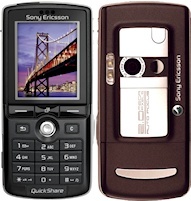 Partnering Sony Ericsson's range of "Walkman" handsets were the somewhat less memorable "Quickshare" phones, which took what was essentially the same hardware with a few tweaks to make it more of a digital camera rather than a music player. 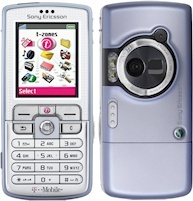 The Sony Ericsson K750 was an attractively understated two megapixel camera phone, which also showcased Sony Ericsson's "dual front" design where the back of the phone was every bit as interesting to look at as the front. 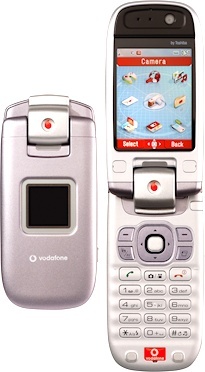 If you were on T-Mobile in Germany, you were offered the slightly different Sony Ericsson D750 instead. Because CeBIT is a German show and Siemens were a German mobile company, it was usual to see a lot of Siemens devices at this event. 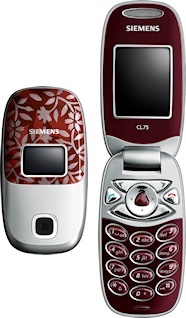 The Siemens CL75 was probably the last major sales success though, a simple but very attractive clamshell phone with a definite "girlie" vibe. 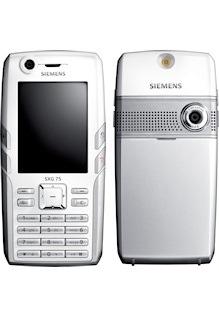 Siemens were certainly capable of more technically interesting phones, and the Siemens SXG75 was a 3G device with a QVGA display, 2 megapixel camera, FM radio and even GPS. 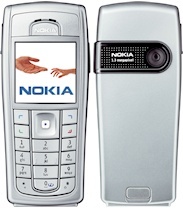 But time was almost up for Siemens, and the SXG75 failed to make much of an impact when it actually did hit the market. 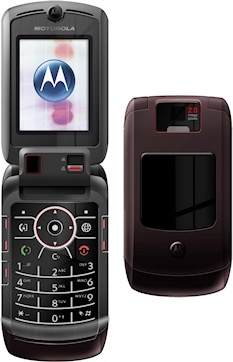 Motorola were on something of a roll at the beginning of 2005, and they followed up February's announcements with a 3G version of the RAZR initially called the Motorola V1150. 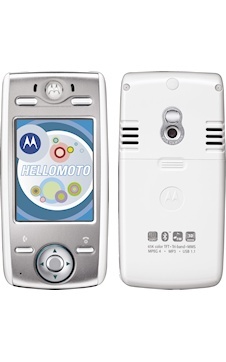 Motorola were also pioneering smartphones, and the Linux-based Motorola E680i showed a few promising features, but ultimately was only a niche device. Motorola were also going after the low-end market with two devices called the Motorola SLVRlite and Motorola SLVRcam. They were pretty similar to each other and the previous month's SLVR, so much so that even Motorola got confused over which was which. 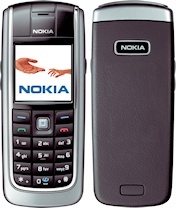 The Nokia 6230i was a popular business phone, with a surprisingly sharp 208 x 208 pixel screen, 1.3 megapixel camera, FM radio, music player and Bluetooth in a handset that looked good but wasn't too showy. 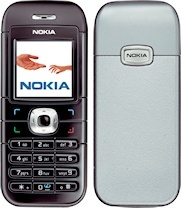 If you couldn't afford the €350 price tag, the cheaper €200 Nokia 6021 did at least feature Bluetooth and for €150 you could get the very basic Nokia 6030. Samsung were getting heavily into slider phones, and the Samsung D600 offered a useful improvement over the very popular Samsung D500. 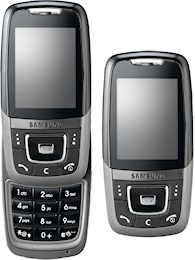 More esoterically, the Samsung i300 was a Windows-based smartphone with a 3GB physical hard disk inside, an idea that was briefly popular a decade ago but soon because obsolete with cheap flash memory. Imported more-or-less directly from Vodafone's Japanese subsidiary, the Toshiba TS921 was a highly-specified 3G clamshell which competed against the more popular Sharp 902. Despite several attempts over the years, Toshiba never managed to break into the European market. 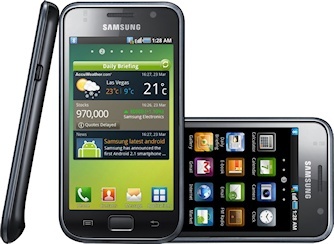 Android continued to gain momentum, and the Samsung I9000 Galaxy S was the very first high-end "Galaxy S" smartphone, featuring a then large 4" 480 x 800 pixel screen, a 1GHz CPU with 512MB of RAM, 8 or 16GB of storage, 3.5G and WiFi data, GPS and all the other features that Android devices come with, this was an impressive but expensive device. It is also notorious for being one of the key elements in a huge lawsuit between Apple and Samsung, with Apple claiming that this and other devices "slavishly copied" the iPhone. 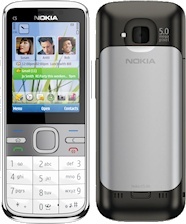 The Nokia handsets of 2010 didn't look that different from the Nokia handsets of 2005, and the Nokia C5 really wasn't a million miles away from the 6230i in terms of what it did. 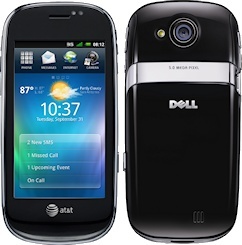 Perhaps inspired by Apple, Dell was also trying to break into the smartphone market. The Dell Aero was a pretty unexciting device in many respects, and with Dell's mixed reputation it was never going to be destined for success. Dual-SIM devices are getting pretty common these days, but five years ago they were still pretty rare. 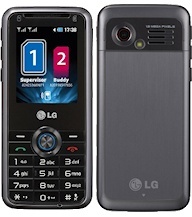 The LG GX200 was a simple dual-SIM device that did the job. 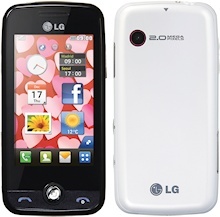 And possibly more notable for a name that brings to mind home baking, the LG Cookie Fresh was a cheap-and-cheerful feature phone clearly aimed at the youth market.